While cleaning out my makeup collection I rediscovered NARS Blush in Madly. Described as a “warm soft-focus seashell pink,” in the pan – it appears very light and uninteresting. However, when applied, it creates a warm rosy/brown glow that instantly warms the complexion – any complexion. Madly works on all skin tones. 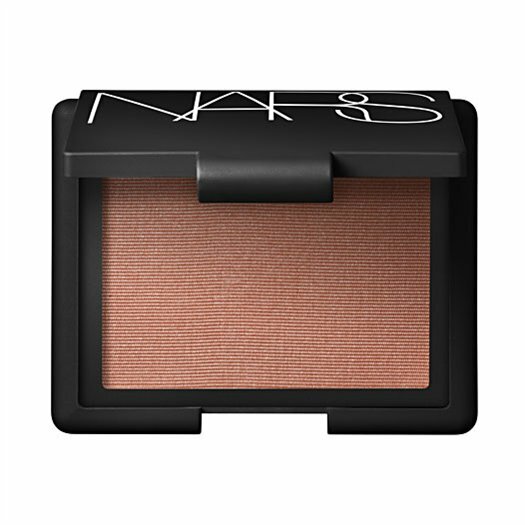 The finely-milled powder has excellent pay-off – like most NARS Blush. It is pigmented yet buildable. There is a subtle shimmer running through the formula, but it wears as a sheen rather than sparkle. It does not emphasize pores or imperfections and can look very natural. Applied with a heavy hand, Madly can create a radiant bronzed look. Applied with a light hand, Maldly can create a soft romantic glow. Rediscover treasures in your makeup collection. A great hair dryer is the difference between healthy hair and and a head full of dry, split ends. The cornerstone to any haircare routine, the longer it takes to blow dry the hair the longer period of time your hair is exposed to heat. The logic is simple – the better your hair dryer, the better your hair. The Elchim 3900 Healthy Ionic is the very first professional dryer to focus primarily on maintaining healthy hair. The most powerful in it’s category – this hair dryer produces over 2,400 watts of power, reducing drying time by 30%. The ionic ceramic technology ensures evenly applied heat and reduced surface tension, leaving locks shiny, frizz-free and more manageable. Used by over 80,000 salons worldwide, Elchim blows it’s competition away. Hyper Technological Design of the latest generation. Integrated hair concentrator, easy fastening, optimized for high temperature. High power to straighten the frizziest hair in half the time. The most silent of its category, the lightest of its category, perfectly balanced. Ionic ceramic system, moisturizes and enlightens the air eliminating electrostatic charges. All Elchim dryers come with a lifetime warranty from the manufacture. When shopping for hair dryers, the most important features for me are the wattage and heat settings. Elchim 3900 Healthy Ionic is both powerful and adjustable – with over 2400 watts of turbo-charged air flow and three heat settings plus a cool shot. I never feel like this hair dryer is going to burn my hair off, nor do I have to be extremely cautious as to how long the hair dryer is placed on one section. I can adjust this dryer to the exact heat and power I need. After every use, my hair looks and feels like I just got a professional blow-out. The best hair dryer I have ever used. Since 1942, Elchim has been providing salon professionals around the world with the highest quality products. Hair stylists worldwide agree, Elchim is the international leader in salon appliances. All Elchim products are characterized by the unmistakable quality and style that can only come from European design. Elchim creates the perfect balance between power, performance and working time. Elchim’s high pressure technology provides higher air pressure which allows you to reduce operating time without damaging the hair with excessive heat. As the seasons change, the reach for a red lipstick grows closer. Unfortunately, many women are scared of scarlet. I believe there is a simple adjustment period or rite of passage, when wearing a bright lip. Just like anything else, to diverge from our comfort zone is an uncomfortable feeling. Try this: When home alone, cleaning house, reading a book, watching television – apply your bright lip and test-drive for the day. Let your eyes adjust to the unfamiliar look and I promise it won’t be so shocking next time. Chanel Rouge Coco in Gabrielle: My all-time favorite. A bright blue-based red with glossy sheen. The Rouge Cocos’ are extremely moisturizing and allow you to wear both a sheer or heavy red lip. NARS Semi Matte Lipstick in Jungle Red: NARS best-seller, Jungle Red is bright and bold. If you want to commit to a “Gwen Stefani/Rita Hayworth” red lip – this one’s for you. YSL Rouge Volupt in #18 Red Taboo: Cool-toned red with a hint of raspberry. The Rouge Volupt lipsticks are comfortable and light on the lips. Extremely pigmented, long-lasting, uber-creamy and incredibly glossy. Tom Ford Lip Color in Scarlet Rouge: The classic brick red. For those still uncomfortable wearing the bright lip – this is your training wheels. Deep and luxurious – the color is beautiful and sophisticated – the formula is hydrating and long-lasting. The newest BB Cream to hit our counters is Bobbi Brown BB Cream SPF 35. Exclusive to Nordstroms, the formula combines moisturizer, skincare, foundation and SPF into one. Features & Benefits: Water-attracting molecules boost hydration. Light-reflecting pearls brighten dull skin. Botanical extracts and caffeine reduce discoloration and redness. Pore-reducing peptides minimize fine lines. Broad-spectrum UVA/UVB protection and antioxidants fend off future damage. Bobbi Brown’s BB Cream SPF 35 is available in five shades: Extra Light, Fair, Light, Medium and Medium to Dark. I was certainly intrigued by this, due to the fact that Bobbi Brown Cosmetics are primarily yellow-based shades. Many BB Cream (especially asian brands) are based on cooler-tones, such as pinks and greys. As I sampled the different shades, I was persuaded by a sweet Bobbi Brown representative to try the darkest shade, Medium to Dark. This shade looks quite dark, almost bronzer-like. But, I took her advice and purchased. FINISH: Skin appears matte with a subtle sheen. Very healthy-looking. However, like most BB Creams, after a couple hours the oils will come-out and skin will look too glowing. A finishing powder is recommended. COLOR: Initial application, the color appeared too dark. Let dry and after a couple minutes, the color adapts to the skin and the color is perfect. It might be a smidgen too dark – but I am loving the subtle-tan look for summer. VERDICT: Like many of the US BB Creams, this is much like a tinted moisturizer. But, I love the finish it leaves on the skin and the feeling is remarkably lightweight. For a high-SPF product, this cream wears like you have nothing on. The shade choices are great and warm-up the complexion beautifully. Leaves skin looking fresh and healthy. A great option for the summer months – SPF, lightweight, easy. The versatile white maxi dress is a summer essential. Worn day or night, these dresses are light, breezy and comfy. For daytime, play with some detailed sandals and fun accessories. Gold looks great with white – try-on a ton of gold bangles or bracelets. For nighttime, switch it up with some wedges and a statement accessory. A bold necklace or vibrant earrings will shine against the all-white canvas. To avoid looking matrimonial, accessorize wisely. Add some color or texture with a belt or scarf. Try to steer clear from head-to-toe white. You have seen your hair stylist use it, you have seen it in magazines and backstage at fashion shows. The T3 Featherweight Professional Hair Dryer is a professional-grade appliance built for speed and heat. But is it worth the purchase? When shopping for a hair dryer, do you ever wonder what these words mean: ions, ionic, ceramic, infrared heat, tourmaline? An ionic hair dryer gives off what is referred to as negative ions. (traditional hair dryers emit positive ions) Negative ions are substantially better at breaking down the moisture in the hair and making hair smoother by closing the hair’s cuticle-layer and sealing in the hair’s moisture. This is the reason they dry hair more quickly and efficiently than traditional dryers. Different brands have different ways to create this ionic charge. Some dryers have an ionic spray coating inside of the dryer’s barrel, and others use ion generators. The T3 Featherweight Professional Hair Dryer relies on the highest quality, tourmaline, a gem that occurs in nature, to generate the negative ionic charge and emit infrared heat. When tourmaline crystals are warmed they become positively charged at one end and negatively charged at the other. The Amateur’s Opinion: The T3 Featherweight Professional Hair Dryer is exactly that – professional. Yes, it drys your hair in seconds with super-natural speed and noticeably creates less frizz. At 13oz it is comfortably light and ergonomically efficient. If I were a professional, blow-drying a number of clients a-day, this is the necessary tool. As I am not, the main caveat is the inability to use this hair dryer and all of it’s capability. I cannot use on the highest heat setting, for fear of igniting flames and am scared to place on a section of hair for too long because it would be nice to keep my hair. In my novice opinion, it is an expensive hair dryer that I will leave for the talented professionals. Clarins Instant Light Natural Lip Perfector is formulated to hydrate and enhance the lips, not hide them. These natural-colored lip products provide high gloss for a luscious-looking pout. Clarins Lip Perfectors are extremely hydrating, apply beautifully and feel amazing. The colors are natural and light, used to enhance one’s lip color not erase it completely. It gives lips a soft, luminous glow sans any residue or stickiness. The gel-like formula tastes sweet and pleasing like caramel and does not leave behind any strong scent. Available in three shades: rose shimmer, apricot shimmer and beige, these lip products are sheer and glowing. A great lip option for those who like a natural – more subdued lip or for those with dry or chapped lips. Milani Baked Blush is a finely-miled powder that provides a luminous glow to the cheeks. Infused with a multifold of shimmering tones, these blushers contain swirls of complexion brighteners. Dolce Pink (pictured first), is my recommendation. The baby pink color is emphasized with bursts of gold and yellow undertones that provide an angelic glow to the skin. These baked blushers can be comparable to MAC Mineralize Blush and Skinfinish. Both products have the same appearance with a much different price tag. The Milani products produce a glowing sheen on the skin while the MAC products tend to look more frosted and glittery. The Milani Blush also feels lighter in texture on the skin. Milani Baked Blush is a great drugstore purchase, however, with the affordable price tag comes quality issues. There is a lot of fall-out to these products. The finely-milled powders are quite fragile and should be handled with care. Chanel’s newest foundation, Vitalumière Aqua is a lighter version of the best-selling Vitalumière. The original formula is extremely moisturizing and fitting for a more mature skin. The new formula in Vitalumière Aqua is water-based and feels extremely light and refreshing on the skin. 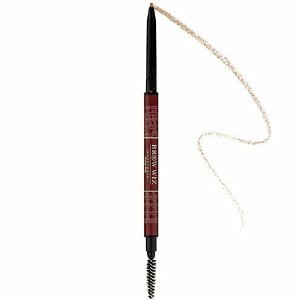 The semi-matte dewy finish does not appear greasy or unnatural, but luminous and radiant. The coverage is light but build-able and still manages to perfect the skin. The foundation is long-wearing, 6-8 hours, and comes in 10 ready-to-match-any-skintone shades. The packaging is a small and compact plastic bottle which is a nice change from the usual unwieldy glass bottle. A built-in shaker prevents the product from separating which will extend it’s shelf-life. Once again, Chanel has created an impeccable foundation, light and fresh, perfect for the warm months ahead.